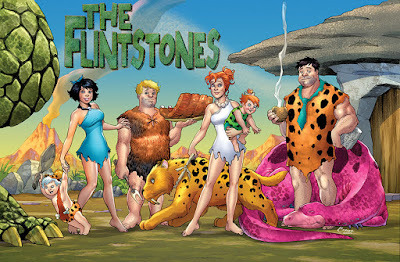 De Angelis Ark: Meet The Flintstones! 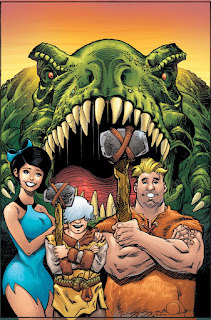 Following the new Scooby-Doo series as an example, this new DC title is also not for kids. 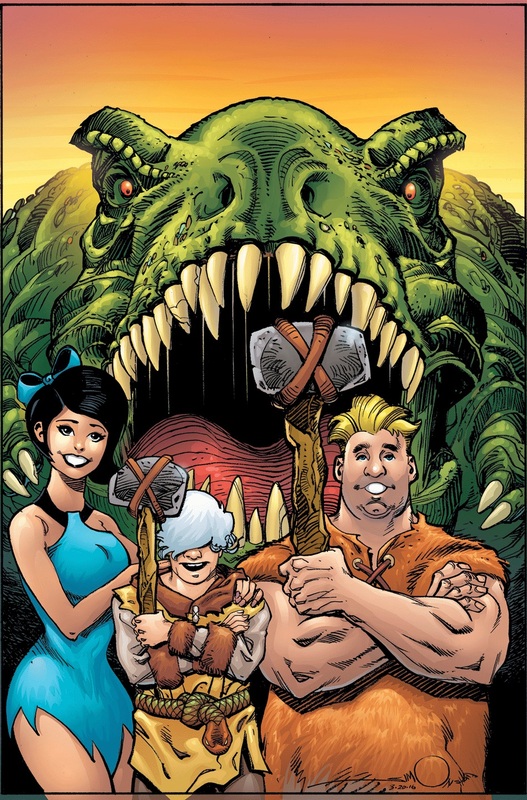 When The Flintstones was first released, back in the 60's, it was used as an allegory to the American way of life, to criticize what was going on then. The world has changed a lot, it's true, but the pre-historical family, and all the Bedrock's citizens, can still be seen as mirrors to our society. And that's what DC is going to do! Why do we get married? Why do we work more than we have fun? Why do our lives sometimes seem to be so meaningless? Well, the answer for those and other questions you'll find in the new Flintstones' title. In a delightful funny critical way, we'll see aspects of our daily routine through the point of views of the characters we love. They are all going to be there: Fred, Wilma, Barney, Betty, Dino, Pebbles and Bamm-Bamm. So, you'd better be there too!